I love watching as each summer fruit comes back into season. This week, on my stop at the fruit vendor, I spotted the display of bright red pods. The lychees are back. Sweet, juicy, tropical little orbs. Great as a snack but even better in a cocktail. I decided to use them to spruce up a basic Collins which is typically gin, lemon, sugar and club soda. 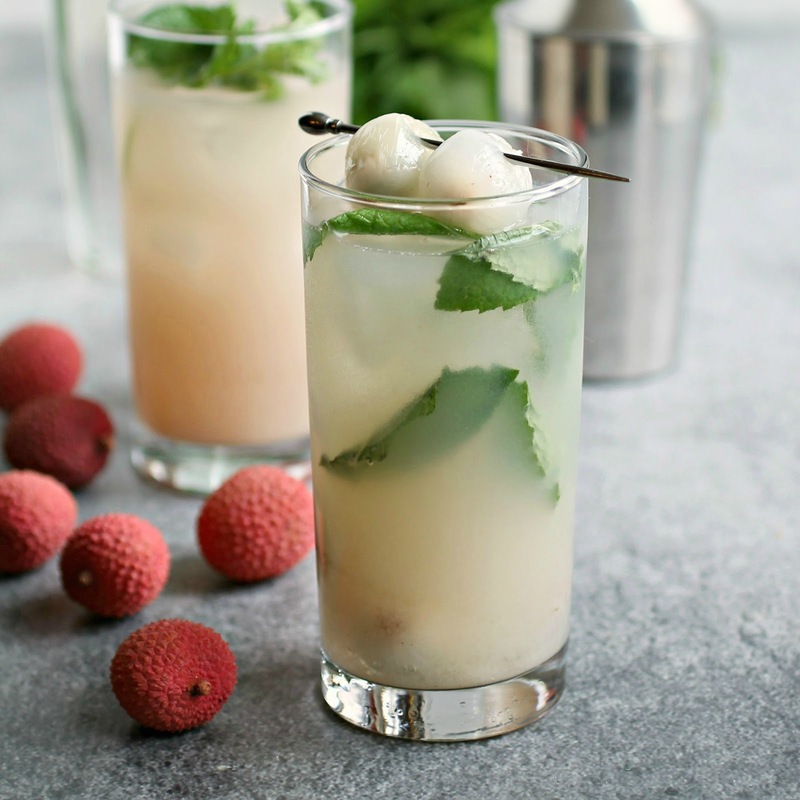 It's a tall, icy drink that's perfect for warm weather and the tropical lychees made the perfect addition. Cheers! Peel the lychees, remove the pit and puree in a small food processor. You should net about 1 oz. of puree for every 4 lychees. 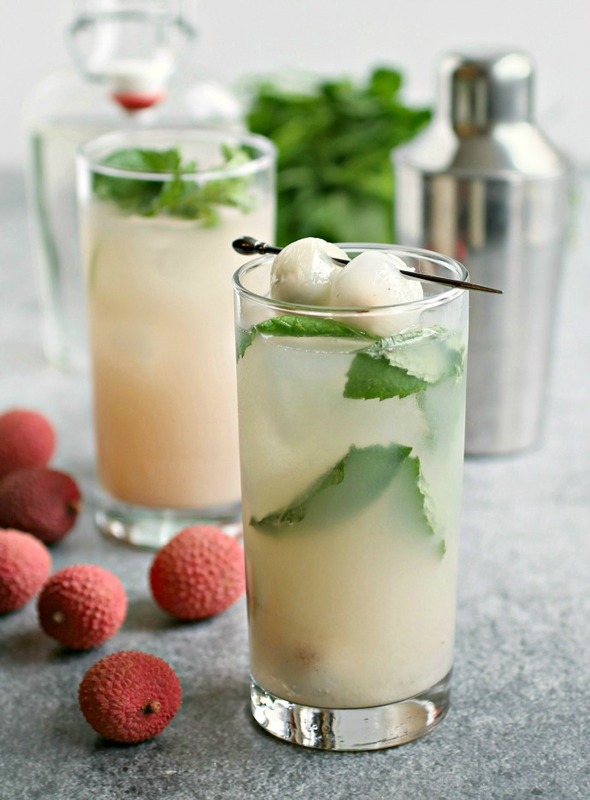 Add the gin, lychee puree, lemon juice, simple syrup and mint leaves to a tall Collins glass. Muddle the mint with a muddler or wooden spoon. Top with the club soda and fill with ice. Garnish with some additional lychees if desired. That looks so refreshing, it reminds me of a martini bar I went to a few years ago in La Jolla Ca. I had the lychee martini and wow! I can't wait to try your recipe! Thanx! !